Yoga is the movement in postures linked to our breath. Calming our mind along with strong alignment, correct posture techniques and focus on breathing can aid you in your everyday life. A beautiful freeing of tightness and stiffness in joints and a bringing of strength and flexibility back into muscles. I trained with Yoga academy under Simon Low. accredited with the British Wheel of Yoga and Yoga alliance. I teach hatha Yoga. 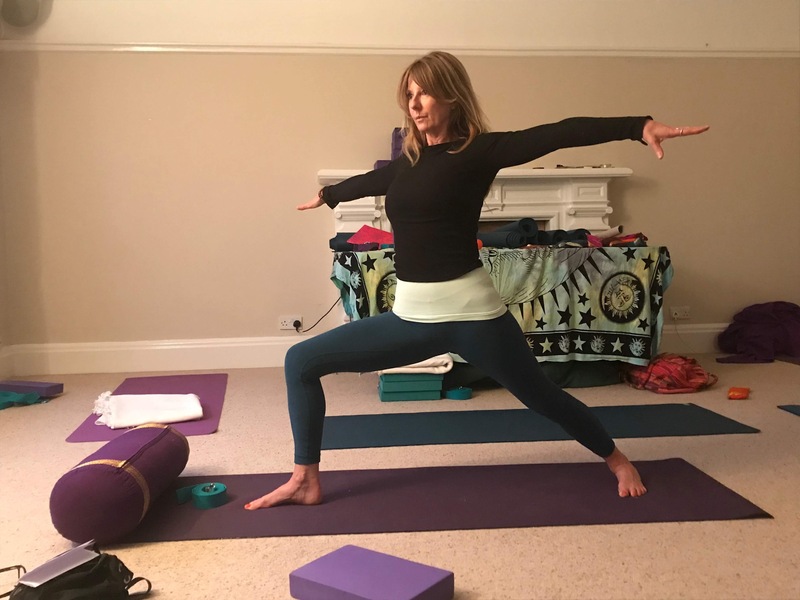 Vinyasa flow and strength building postures, Yin and restorative Yoga, breathing techniques (pranayama and kriya) and meditation, always staying true to the essence of this wonderful tradition. My classes are vibrant, dynamic and focused on safe and strong alignment and are always fun. 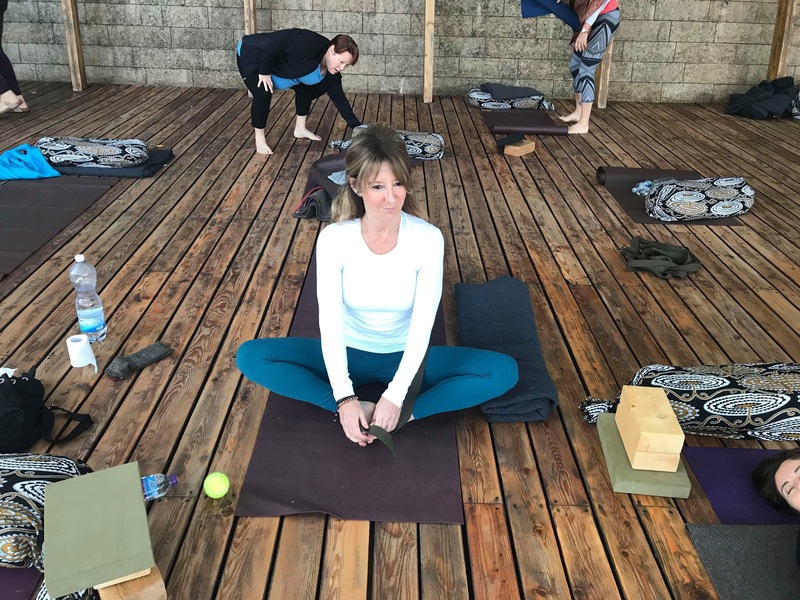 I weave helpful and useful anatomy and philosophy into each class to help you understand the meaning and reason we are in postures. Yoga is about making space in the body and all classes will move the spine through its ranges of movement. Something we do not practice enough in our everyday life. Yoga will help teach you to accept your body for how wonderful it truly is. To stop. to reflect. To just be. To be happy where you are right now. Here. And that is such a wonderful place to be. I teach in South and West London, Banstead, Kingswood, Carshalton and SM5 Hampton Hill and all surrounding areas. Your first class will show you just how good yoga will make you feel. I encourage you to come along with an open heart and an open mind. It is fun and what’s not to love about dedicating one hour to you, and only you. Be amazed at how wonderful yoga is for your BODY, SOUL AND MIND. Inside and out. The object of yoga is to try. The aim of yoga is to help you learn how to. Think of this as mindfulness (not nearly as scary). Yoga will teach you how to be mindful. How to be present. How to slow down the constant whirring of our chattering mind. Yoga will teach you how to create perfect alignment in your body. In whatever pose you choose to practice. Yoga will teach you that you are perfect, and your body is unique. With guidance and a gentle patience, you will come to love what you can do, not what you can’t do. Yoga is about doing what you want to do, in your own time. Yoga will teach you patience and above all kindness to your self and your amazing, unique body and mind. Copyright © 2018 Pushti Yoga. All rights reserved.